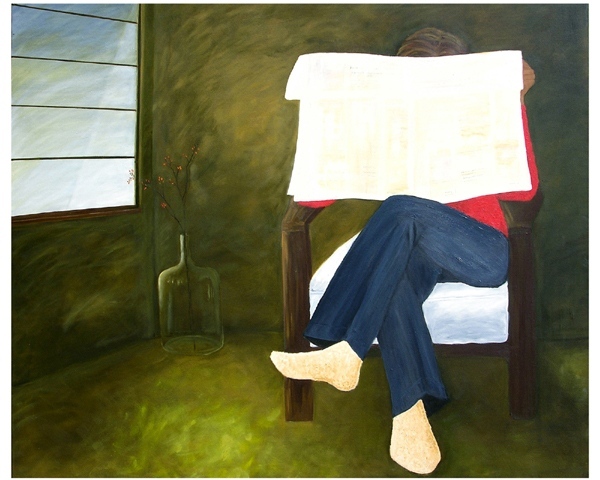 Man is immersed in reading news paper after his morning walk . He is sitting quietly near a window undisturbed on a comfortable chair.. Glass pot with delicate red and orange flowers render beauty to the rich green walls of the house. Sky outside is quite and spreading light beautifully .